We saw plenty of our regular visitors and supporters at our Spring Fayre, and Princess & Bella – Russian miniature terriers – who always come to our Fayres with their humans. 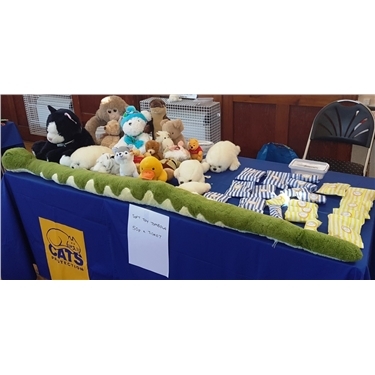 Although it was a quiet day – people were probably out and about enjoying the sunshine – we raised just over £515, including a kind donation posted to us by someone who couldn't make it to the Fayre. Many thanks to all the volunteers who helped both in the hall and with the preparation – and by baking lovely cakes and biscuits, which went down well with everyone.